I did a stint studying abroad in Tel Aviv, and during that time, shawarma was the most consistent item in my diet—it was common for it to be my lunch or dinner many, many times a week. This built an unwavering love for this spiced meat usually cooked on a vertical rotisserie and then stuffed into pitas with a multitude of toppings. I've tried shawarma at home before, but my use of lean turkey breast didn't render the glistening, fatty output that's one reason this stuff is so delicious. So it was kind of a no brainer to give shawarma another shot at a Middle Eastern-themed Meatwave I threw earlier this month, and this time, I it fared much better. What I did remember from my previous shawarma attempt was that it was definitely seasoned appropriately. So I started off with the same mixture of spices I used before that included both sweet and hot paprikas, cumin, salt, pepper, and turmeric—which gives the meat its distinctly yellow hue. To that I added lemon juice and garlic and upped the amount of olive oil to make the marinade more of a liquid than the spice rub it previously was. I also opted for chicken thighs this time around, which are a whole lot fattier and juicier than turkey breasts. Since this marinade included a lot of lemon juice, I opted to go for a relatively short marinating time of just a few hours in order to keep the acidity from rendering the meat mushy. Compiling a recipe for the blog tends to be painstakingly slow because I always have to keep washing my hands and then snapping photos after each step. 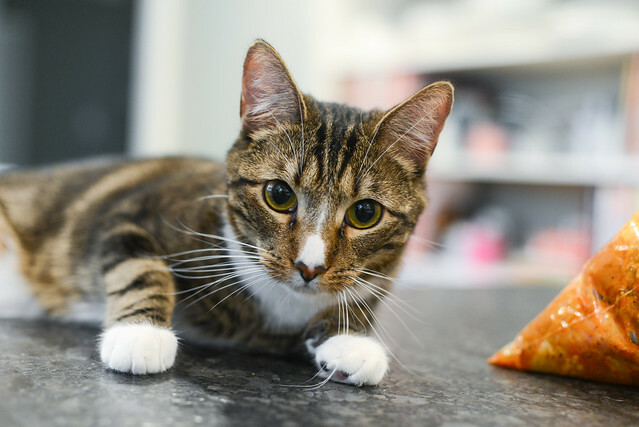 My cats have become fond of making the process even slower by getting in the way, so I decided to start publicly shaming them in my posts when they're being a nuisances (and it's in no way because they're adorable and awesome). Here's George Michael testing my patience as I try to get the standard "meat-in-marinade" shot. I'm not a huge toppings guy for my shawarma—back in Israel I kept it mainly to some fries, salad, and hummus to go with the meat. One common piece I usually pass on is the tahini sauce because I found it can sometimes be strong to the point its distracting. I know I'm in the minority here, so decided to make a tahini sauce for serving, and I was left pleasantly surprised with how good this particular preparation turned out. It started with making a paste out of a few cloves of garlic in a mortar and pestle. That was then combined with tahini paste and lemon juice and pulsed in a food processor until smooth. I then kept the processor running and added in water, a tablespoon at a time, until the sauce reached a consistancy where it could easily come out of a squeeze bottle. The end sauce did not have the harsh sesame flavor that some tahinis exhibit, and instead had a very smooth, lightly roasted profile backed by a bright citrus component that made it taste like it would actually be perfect with the earthy spice of the shawarma. I said one of my minimal toppings I liked on my shawarma was salad, but really, Israeli salad adds a lot by itself. That's because this salad is comprised of diced tomatoes, cucumber, red pepper, and red onion with a simple dressing of lemon juice, olive oil, and za'atar. So it's a singular topping, but really packs in a lot of vegetables that otherwise could be added one-by-one. I wrestled a bit with how I would be cooking this—originally I wanted to emulate the normal cooking process by putting the chicken on the rotisserie. But really, the vertical rotisserie is mainly needed to cook a lot at once that can last the entire day. 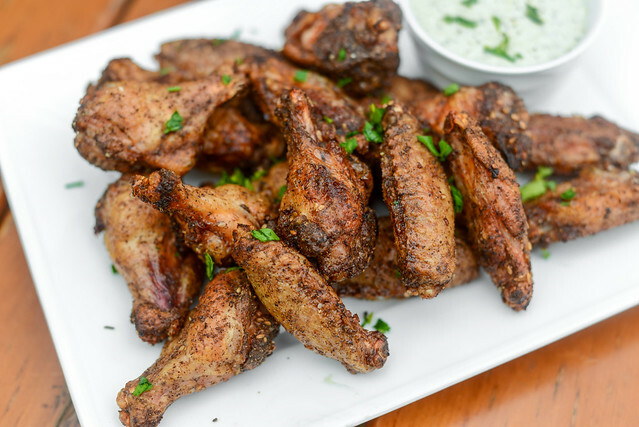 My small recipe for just about six servings wouldn't be right for the rotisserie treatment, and straight grilling would render a more idea end productl with bits of crunchy and charred exterior paired with still juicy and flavorful meat. A fresh batch of coals outputting a ton of heat got me those traits I was looking for. Once grilled and shortly rested, I sliced the shawarma into the common thin strips. My wife had actually ordered a shawarma at a local restaurant the day before I cooked this and it came in big chicken chunks, which led her to believe she was given souvlaki or some other kebab instead of shawarma, so I think shape and size definitely matter here. To make the final sandwiches, I lightly toasted the pitas until warm and soft and then cut open the top to create a pocket for stuffing. I lined one side of the pita with hummus, then piled in shawarma and Israeli salad followed by a squeeze of tahini sauce on top. For me personally, this was a pretty perfect specimen. In the way I like it, the earthy spiced meat was front and center, while the salad balanced out the heavy spice with its freshness and bright flavor. The hummus and tahini worked together to deliver distinct, yet complimentary toasty flavors and creamy textures that made the sandwiches feel whole. You can really go hog wild with the toppings though, but for me, this was how I ate shawarma (it was only missing some soft french fries) over and over again, so it will always be what tastes right and best to me. 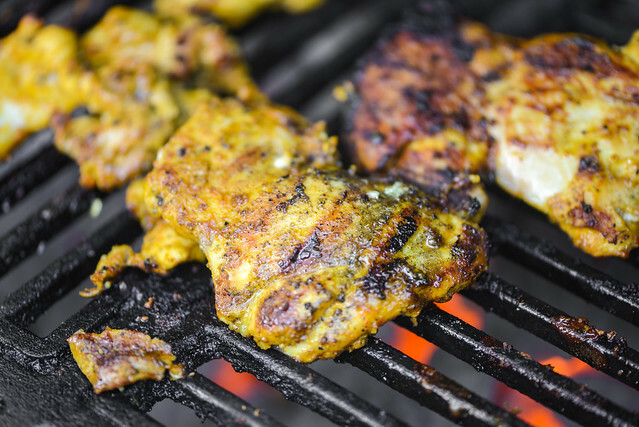 Well spiced chicken thighs are grilled until both a little crunchy and still juicy to create an excellent foundation for these shawarma pitas. 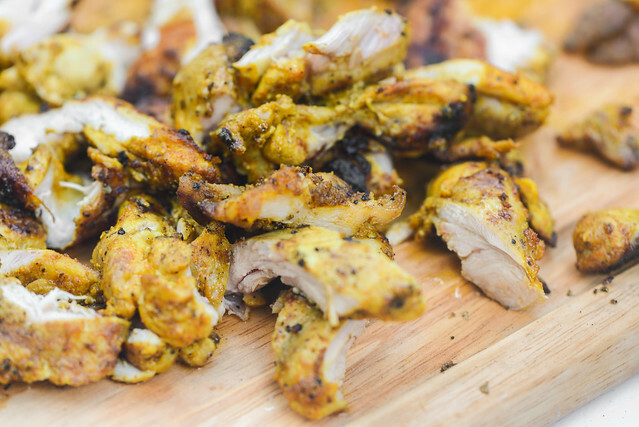 To make the chicken: In a medium bowl, whisk together olive oil, lemon juice, garlic, paprika, black pepper, cumin, salt, hot paprika, and turmeric. 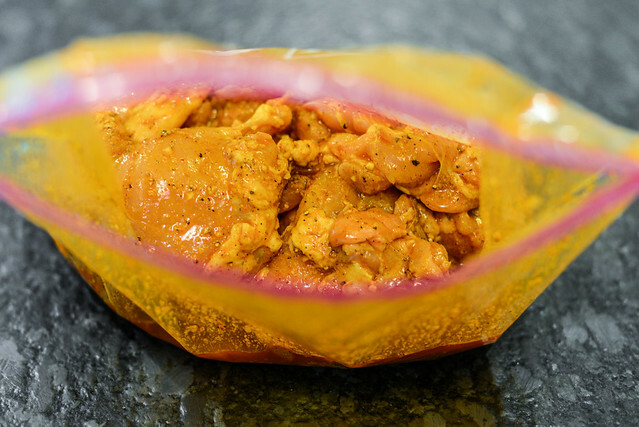 Place chicken thighs in a large resealable bag and pour in marinade. Seal bag, removing as much air as possible. 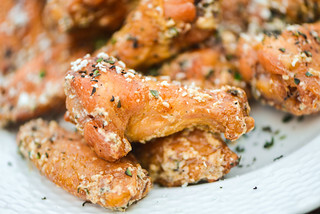 Place in refrigerator and let chicken marinate for 2 to 6 hours. 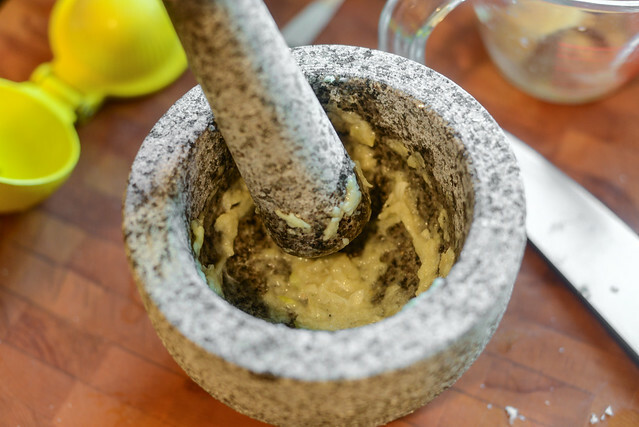 To make the tahini sauce: Place garlic and salt in the bowl of a mortar and pestle and work into a paste. 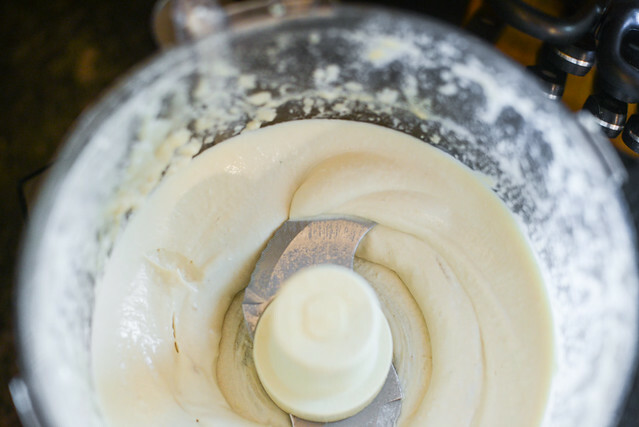 Place tahini paste, lemon juice, and garlic paste into the workbowl of a food processor and pulse until smooth. With the motor running, add in water, 1 tablespoon at a time, until sauce reaches desired consistency. 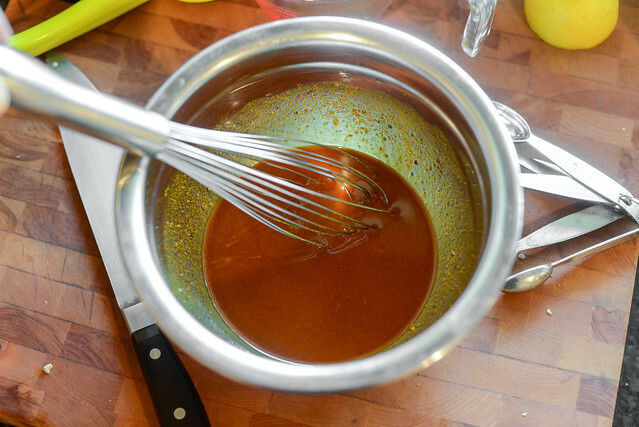 Transfer sauce to an airtight container and store in refrigerator until ready to use. 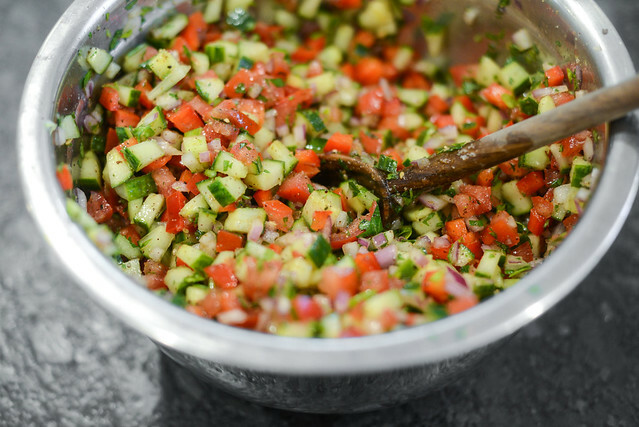 To make the Israeli salad: In a large bowl, mix together tomatoes, cucumber, red pepper, onion, and parsley. Add oil, lemon juice, and za'atar and toss to combine. Season with salt and pepper to taste. Transfer to airtight container and store in refrigerator until ready to use. Light one chimney full of charcoal. When all charcoal is lit and covered with gray ash, pour out and spread the coals evenly over entire surface of coal grate. Set cooking grate in place, cover grill and allow to preheat for 5 minutes. Clean and oil the grilling grate. 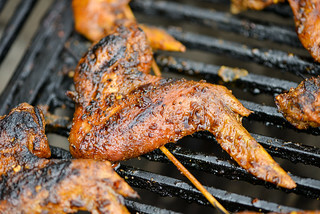 Place chicken on grill and cook until well browned and cooked through, about 5 minutes per side. Transfer chicken to a cutting board and slice into 1/2-inch strips. 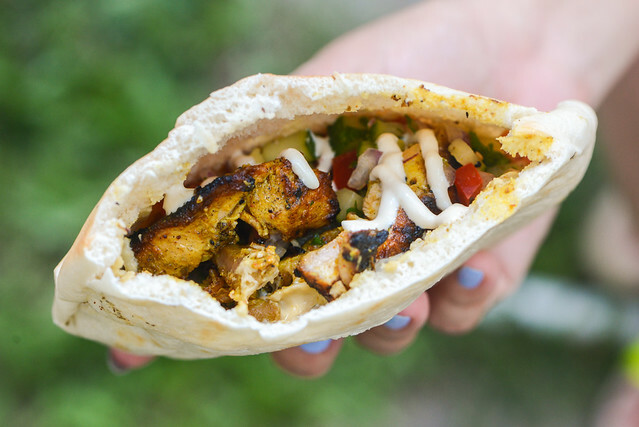 To serve: Place pitas on grill and toast until warm and pliable, about 30 seconds per side. Slice an opening at the top of one pita. Spread a layer of hummus along the inside of one side of the pita. 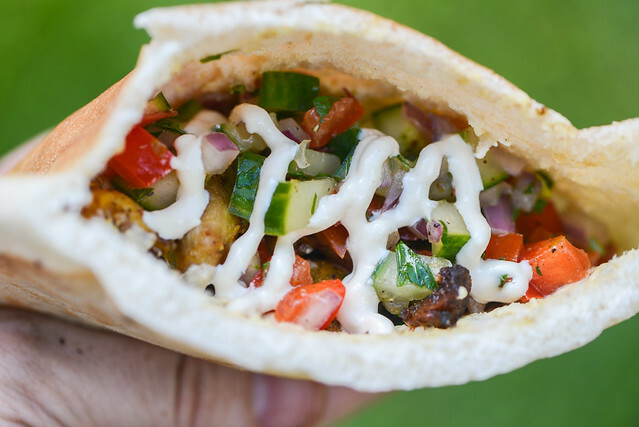 Stuff pita with chicken shawarma and Israeli salad as desired and top with tahini sauce. Repeat with remaining pitas. Serve immediately.